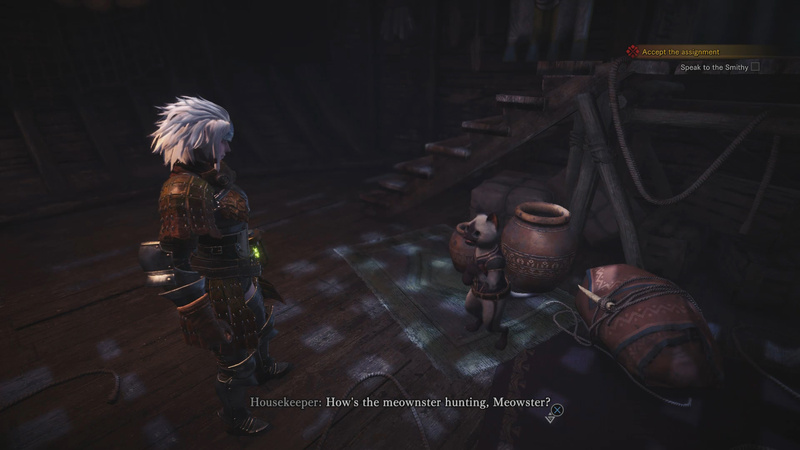 Monster Hunter: World is out and that means it’s time to start hunting Monsters. 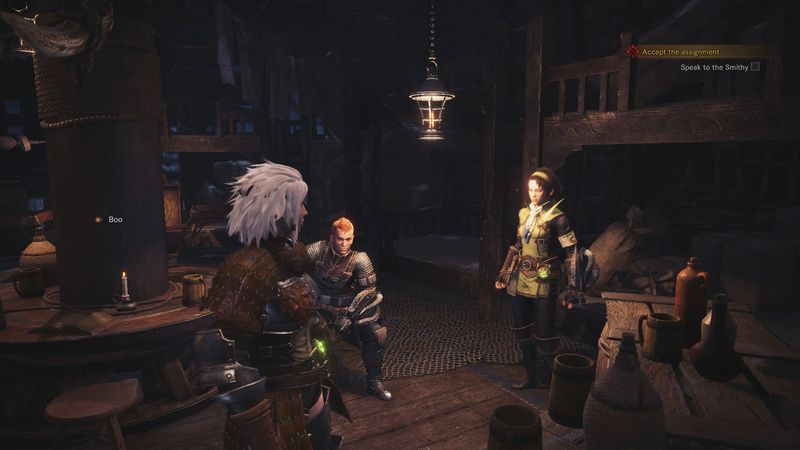 While much of the game will be spent out on various hunting expeditions, you will also be spending your time in the game’s hub areas. 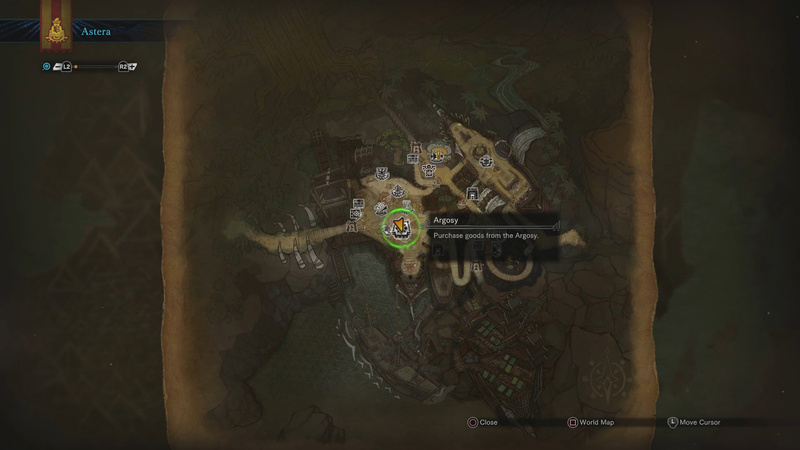 In these areas you will be able to accept assignments/bounties, receive rewards, manage investigations, craft weapons and armor, and a bunch of other stuff. 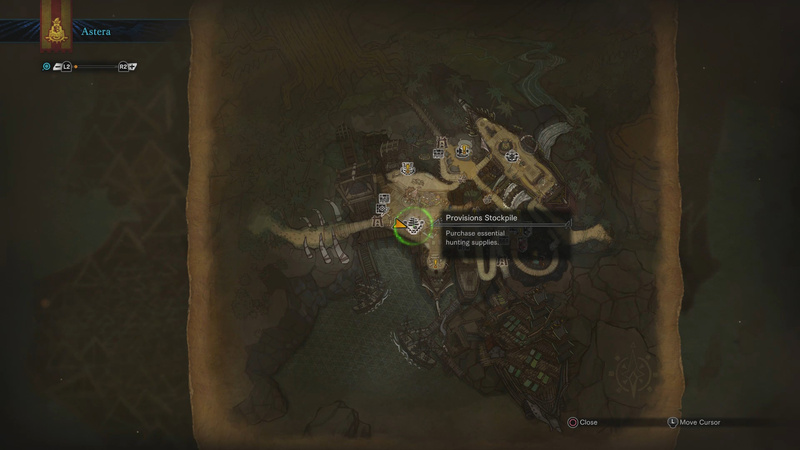 To help you navigate these areas, I’ve thrown together this Astera guide, which will layout everything to know about the area. Each page is laid out according to floor level. Floor 1 is called the Tradeyard and can be found below, Floor 2 is on the next page, Floor 3 & 4 are on the page after that, and page 4 is dedicated to NPCs and miscellaneous stuff. The Provisions Stockpile can be found beneath the hull of an overturned boat. You can’t miss it. 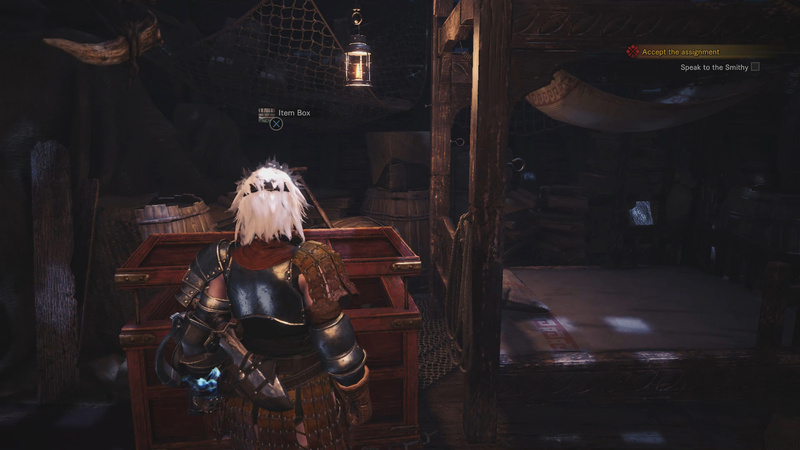 The Provision Stockpile serves as a sort of General Store in Monster Hunter: World. Here you can buy and sell various items. The Provisions Stockpile serves as a general store. Here you can buy and sell items such as potions, antidotes, binoculars, and various ammos. It can be located near the West gate, beneath the flipped over boat hull. As you progress through the story, the Provisions Stockpile will add new items for purchase. Keep an out for this as it can cut down on collecting time the further into the game you get. Completing these tasks will net you rewards such as Research Points and Armor Spheres. Ecological Research is a facility that studies monsters. Their studies can help you on your hunts. 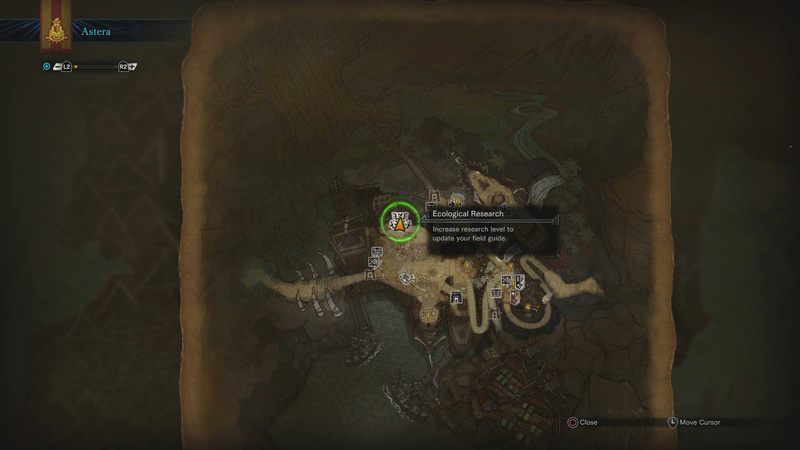 By gathering monster track, slide marks, and other data, you earn research points. Collect enough of these points on your hunt and your research level will increase. Each level increase gives you access to new features and monster intel which will make your hunts easier. 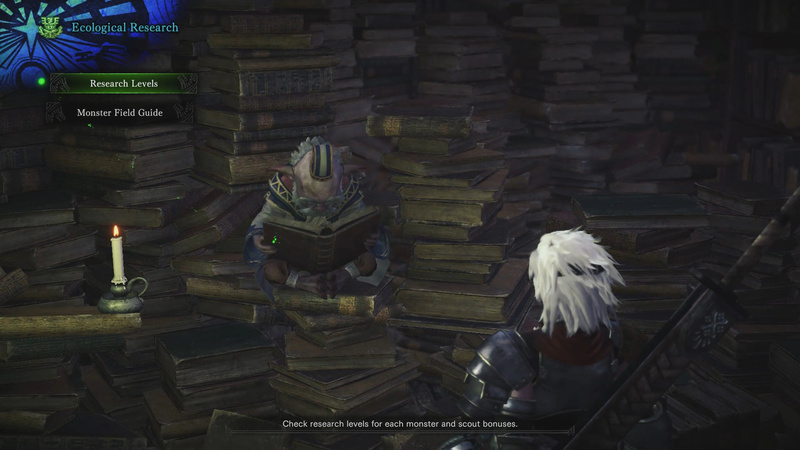 Another thing you can do at Ecological Research, is consult the monster field guide. 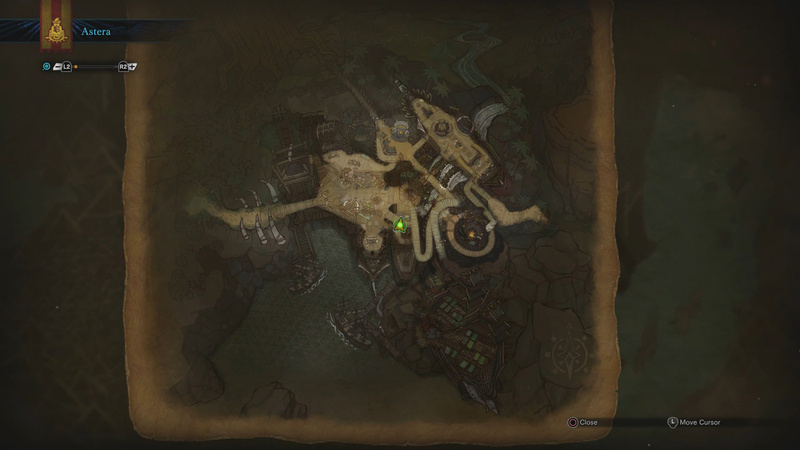 This guide allows you to view monster information such as habitats, weaknesses and materials that can be carved/gathered from them. 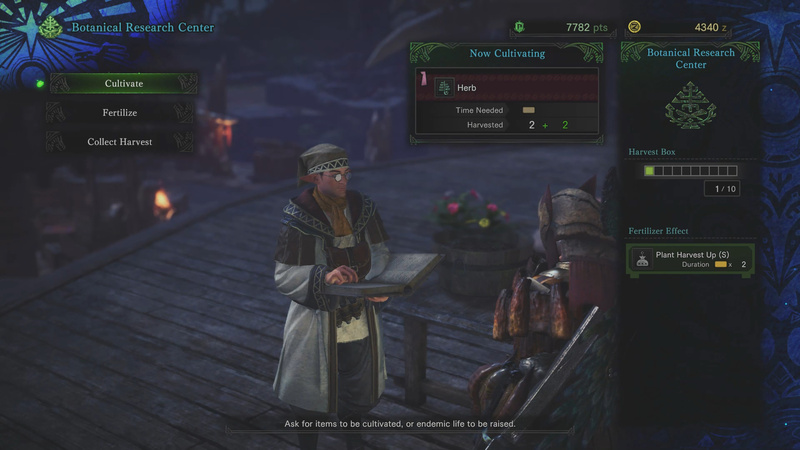 Cultivate – Ask for items to be cultivated, or endemic life to be raised. Fertilize – Use research points to use fertilizer to that’ll speed up the cultivation process. 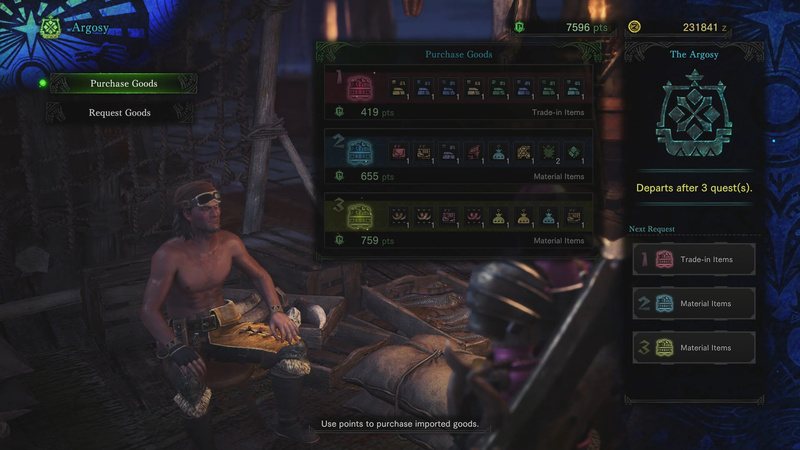 Collect Harvest – Send Harvested items to the item box. 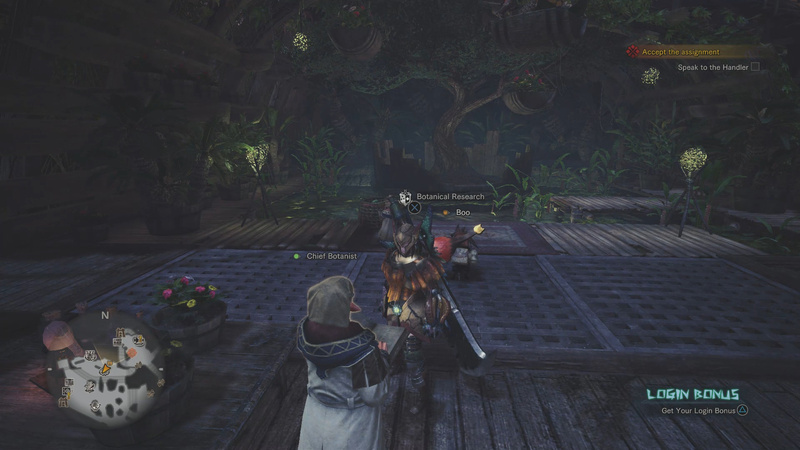 Upon completion of the Zorah Magdaros questline, you will gain access to the Argosy. This merchant appears after a completion of a few quests and offers rare items for purchase with Research Points. At the Argosy you can request specific goods: Trade-in Items, Material Items, Consumable Items. On its next return trip, it will appear with items from the class you requested. 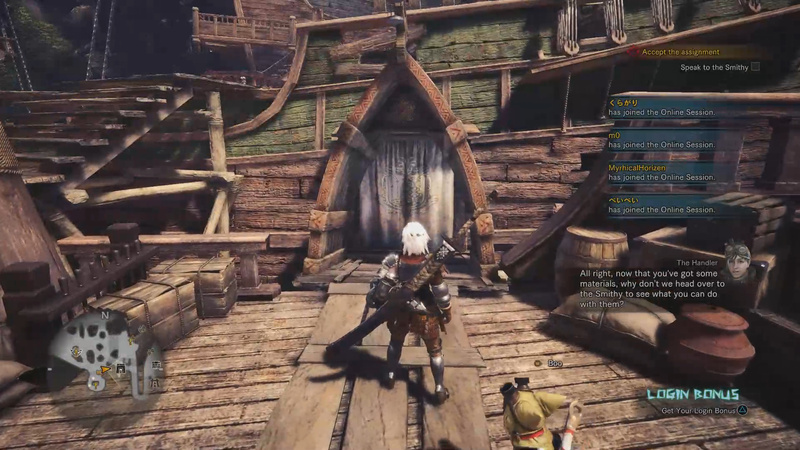 Like the Argosy, the Elder Melder unlocks as you progress through the Monster Hunter World storyline. 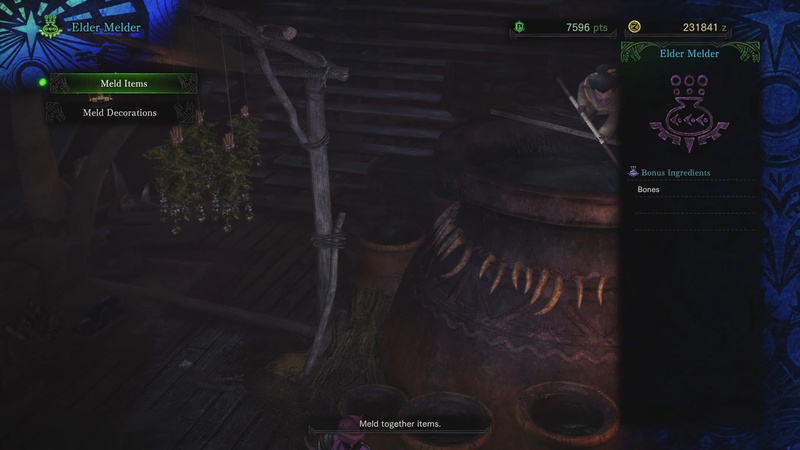 This giant cauldron is capable of taking ingredients from your inventory and using both Research Points and Melding Points, turns them into different items. This same process can be done for Decorations as well. 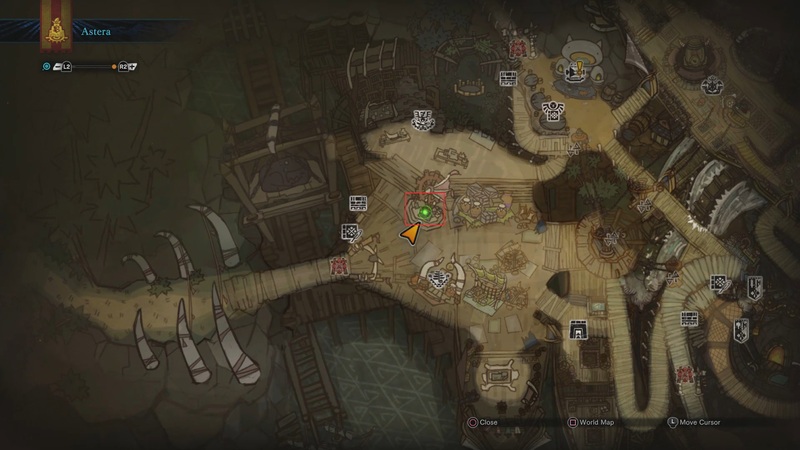 Map location of the Living Quarters. The door to your Living Quarters. The Item Box located inside your Living Quarters. 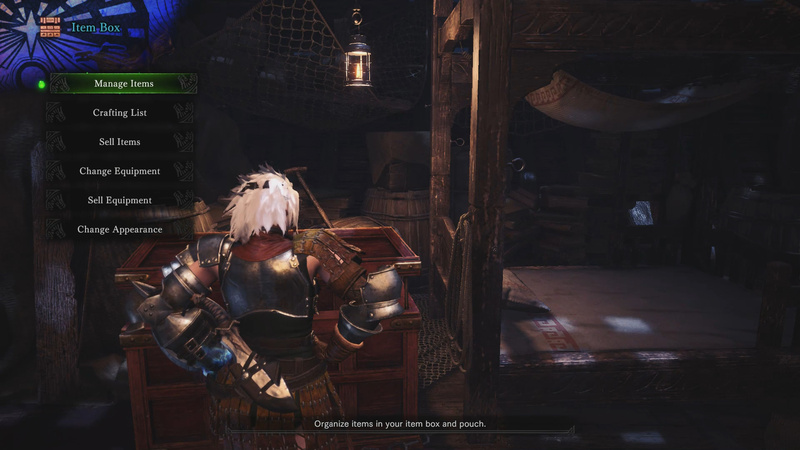 The Item Box gives you access to a variety of Hunter management menus. 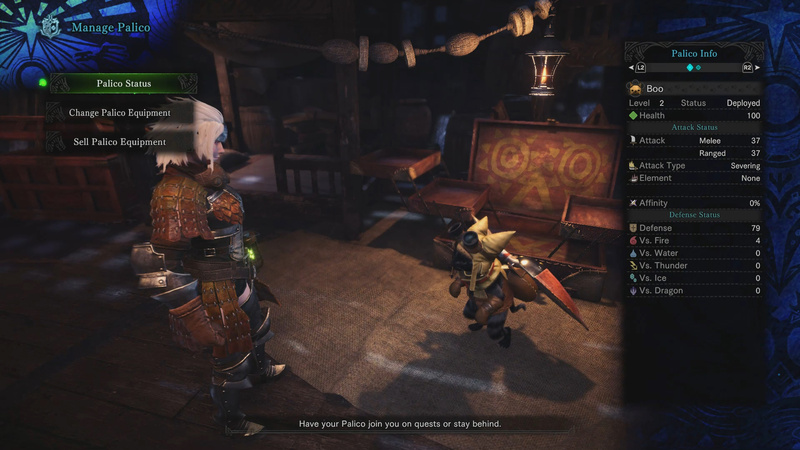 In your Living Quarters you can manage your Palico’s loadout. The Housekeeper can be found inside your Living Quarters. There are two npcs in your Living Quarters. They provide gameplay tips when spoken to. Note: There are Private Quarters & a Private Suite located on Level 3 you can unlock later. 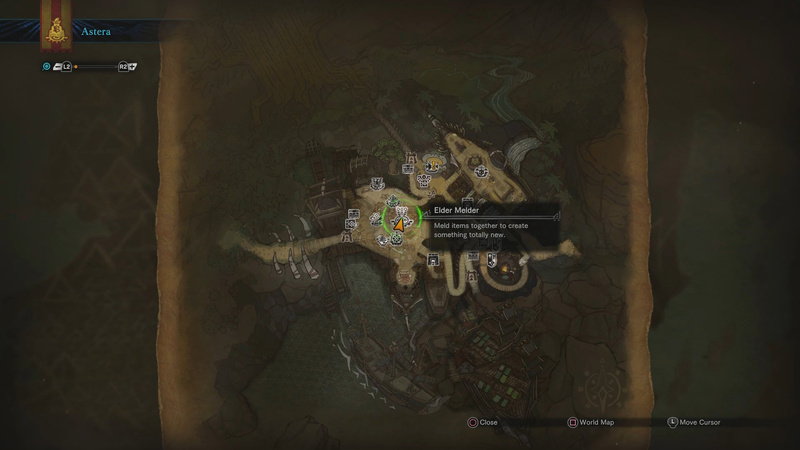 The Council area is where you will find a number of NPCs you can speak with. This area also facilities much of the storyline. 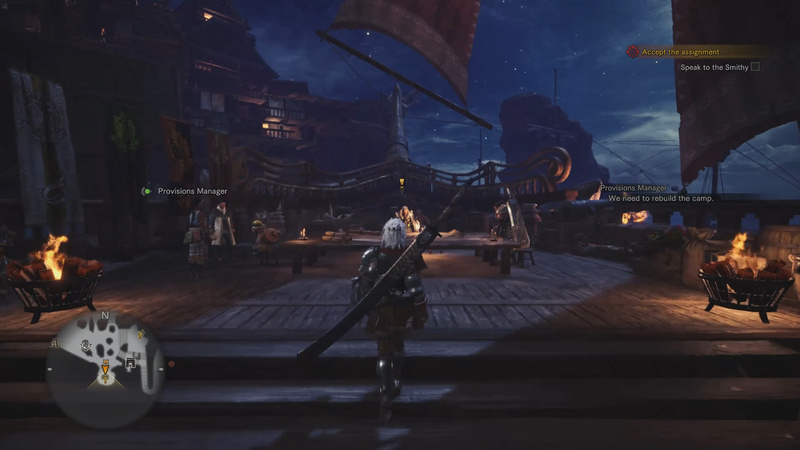 We are done with the first level of Astera, so make your way to the big ship and head up the stairs or lift found there. 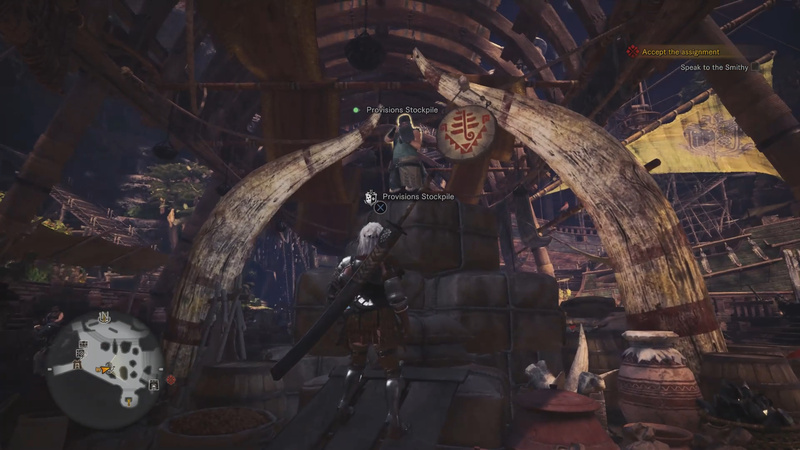 On the second level you will find the Smithy and Armory, two very important places in Monster Hunter: World. 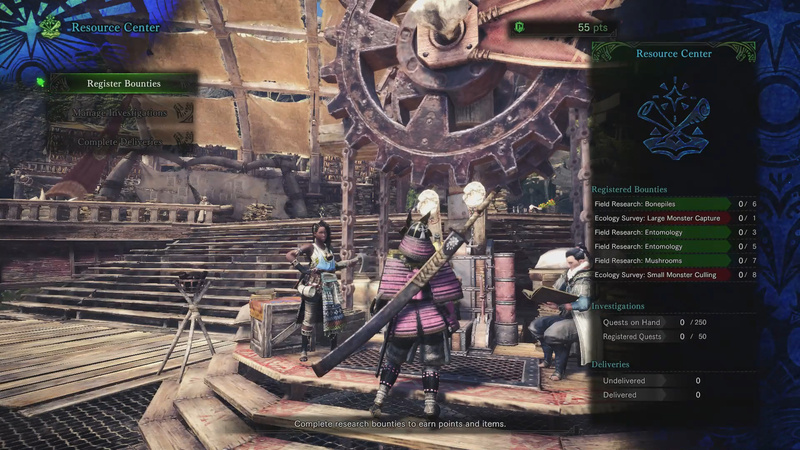 Continue our walkthrough of the Astera Hub on page 2. Drop any comments you have in The Pit below. What’s better, private suite or private quarters?? This is V1.0 of this guide. I will be adding to it as I learn more about the area. Please let me know about any spelling errors or things you want added. Time to sleep.